Theater Down South proudly announces its first offering for the 2010 season with the The Princess and the Red Carp, a new musical based on the Cinderella story. This fairytale for children of all ages is set to open on August 22, 2010 (Sunday) 3 p.m. at the Insular Life Theater, Insular Life Corporate Center, Filinvest Corporate City, Muntinlupa City. Other playdates are: Aug. 29, Sept. 5, 12, 19 (all Sundays). While there have been many productions of the Cinderella story over the years, most are based on the retellings of Charles Perrault or the Brothers Grimm. The Princess and the Red Carp is based on a Chinese version of the story, with origins dating as far back as A.D.850 and recorded by Tuan Ch’eng-shih. It is considered the earliest existing version of this tale and its heroine is a young girl named Yeh Hsien who triumphs over adversity with the help of a magical red carp who provides her with clothes, jewelry, and most importantly a pair of tiny golden slippers. Other lovable characters include a handsome Young Emperor and his Prime Minister, a Wicked Step Mother, and a pair of silly Step Sisters. With an all original book and score, the show’s cast features Kahna Cortez-Velasco (Yeh Hsien), Celine Fabie (Stepmother) Zig Hagamann (the Young Emperor), Joonee Garcia (Stepsister), Marie Delgado (Stepsister) Mikey Llorin (Prime Minister), Chino Veguillas (The Red Carp) and the TDS Company. It is directed by veteran stage actor Michael Williams. Michael Williams, artistic director of this young company, believes in pushing his actors as far as they can go and encourages them to work in all areas of the theater, including stage management, marketing, teaching and writing. 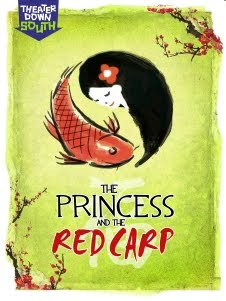 “The Princess and the Red Carp” is a result of this encouragement. 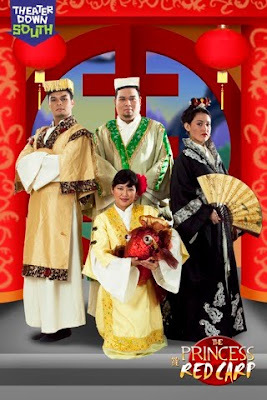 It was written by company member Joonee Garcia and enjoyed a very enthusiastic response in its initial form, as a special Chinese New Year show at the Podium in February 2010. It was then expanded into the present full-length production. 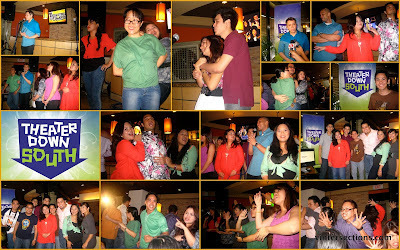 Theater Down South (TDS) had a presscon on July 19, 2010 held at California Pizza Kitchen (CPK) in Glorietta Mall. Michael Williams, TDS' Artistic Director presented to the media the cast and crew for this 2010 season's productions: The Princess and the Red Carp, A Funny Thing Happened on the Way to the Forum. Both are musical plays. 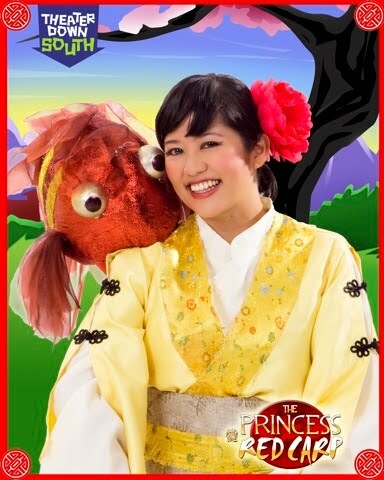 The Princess and the Red Carp was written by Michael Williams & Joonee Garcia, and music by Joonee Garcia. 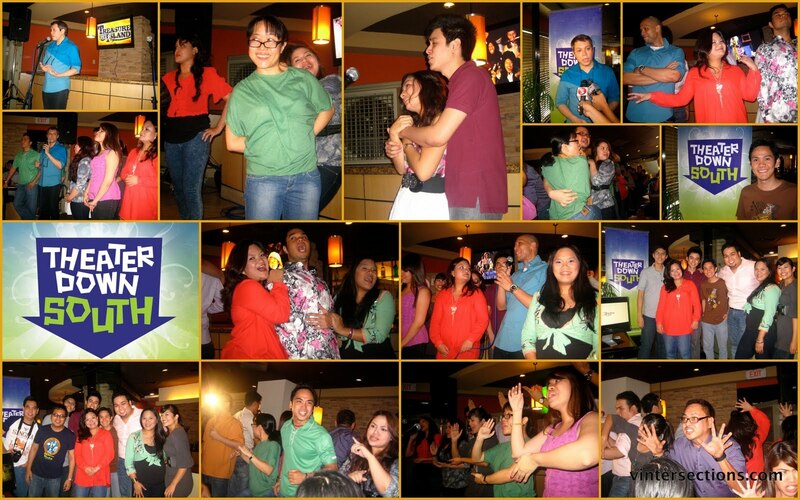 Details about the musical comedy, A Funny Thing Happened on the Way To The Forum, click here. Add Theater Down South on Facebook Fan Page and Twitter. For sponsorship and show buying inquiries log on to www.theaterdownsouth.com or email at info@theaterdownsouth.com. You may also call: +63.927.8336243 (Sales) and (632) 505-6380 / +63.916.6436976.